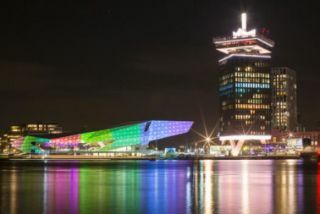 ISE, Amsterdam Light Festival and RAI Amsterdam have announced that the winner of the inaugural World Masters of Projection Mapping Awards is Stripes 5, by Florian and Michael Quistrebert. The WMPM is a joint venture between ISE, Amsterdam Light Festival and RAI Amsterdam. The theme of this first edition, ‘Bridging the Gap’, encourages the creation of connections, both physically in the city as well as between people and cultures.